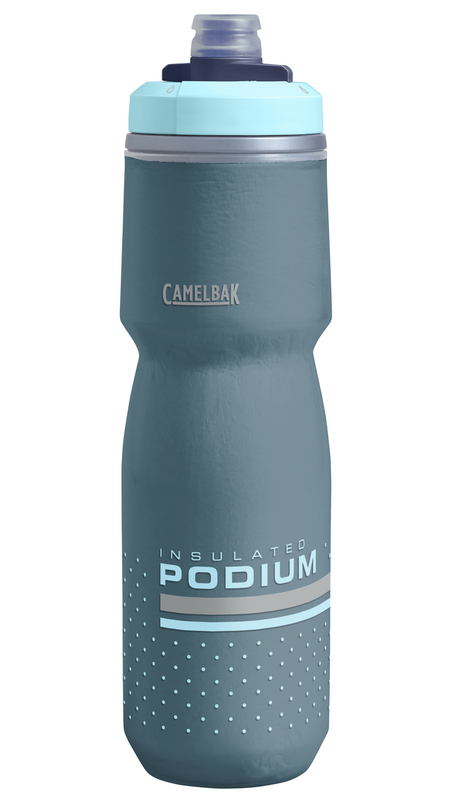 The Podium Chill bottle has a bigger 24oz capacity and employs a double-walled construction that effectively works as insulation to keep all that water colder, longer. 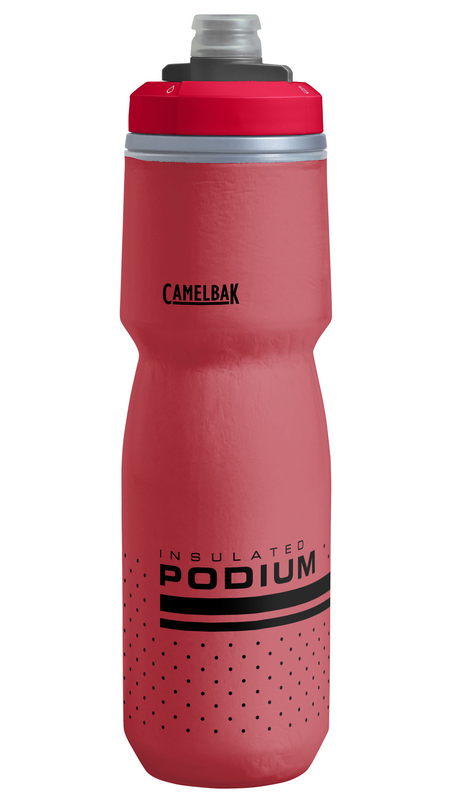 The innovative self-sealing Jet Valve eliminates splattering and spilling when taking a swig, while the positive lockout lid ensures leak-proof transport. The 100% BPA & BPS free Tru Taste polypropylene with HydroGuard keeps your water tasting clean and refreshing instead of like warm plastic. 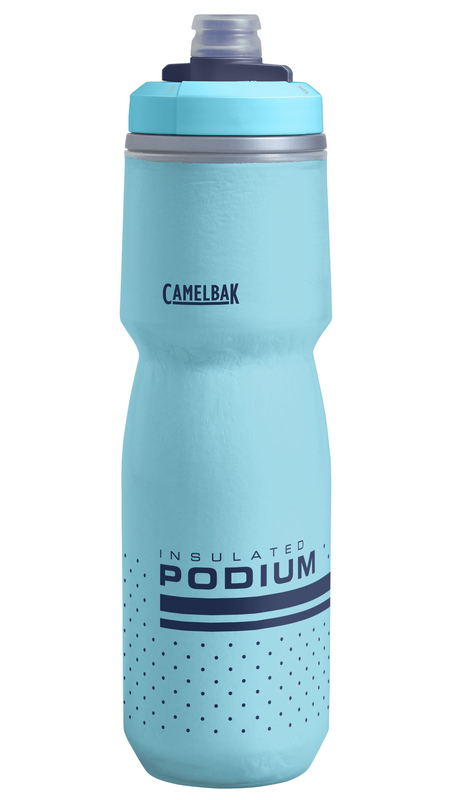 The Podium Big Chill water bottle is not only easy to fill with ice and water, but it's also easy to clean and rinse thanks to its wide-mouth opening. 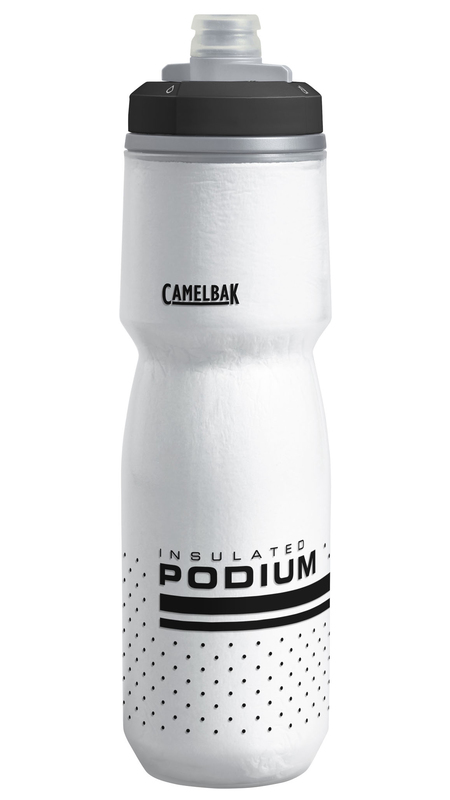 Though this bottle undoubtedly lives up to its name "Big Chill," it also keeps warm beverages warm in cold conditions. Sound like a perfect bottle for all of your outdoor shenanigans? We think so too. 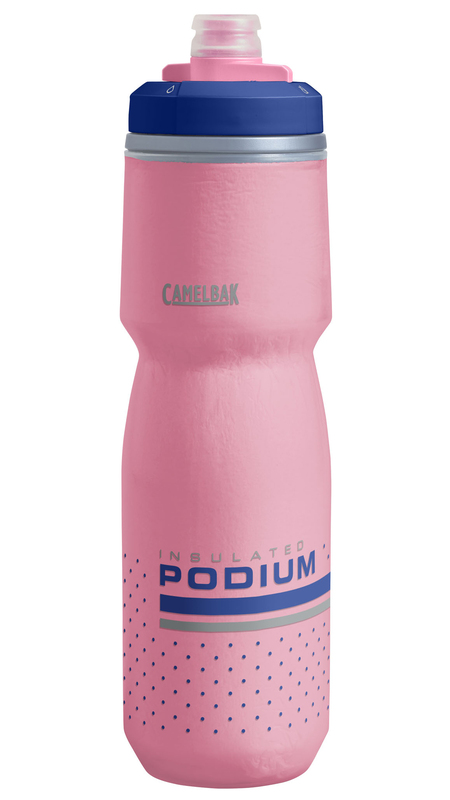 As you may have noticed, CamelBak products are heavily used and highly respected within the cycling community. 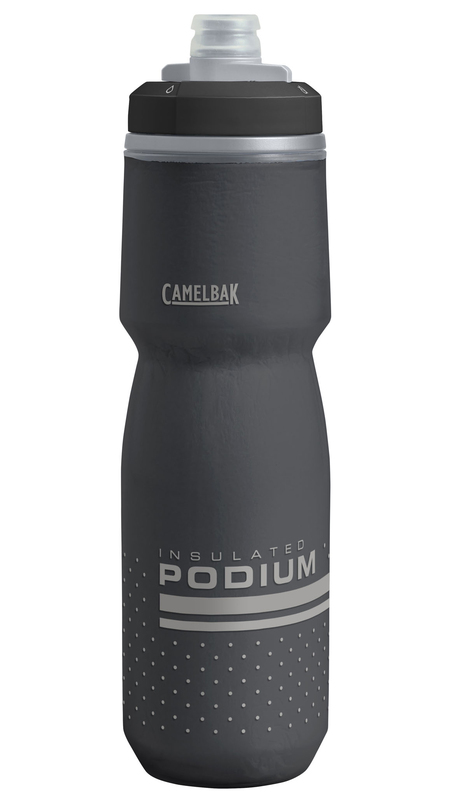 On top of their renowned quality, CamelBak products are backed by their "Got Your Bak" lifetime guarantee, making it extremely hard to go wrong with a CamelBak. Please note that the Podium caps are primarily composed of two components: the Jet Valve and the silicone nozzle. To wash the cap by hand, pull off the silicone nozzle and wipe cap with a soapy sponge. Rinse thoroughly and snap the nozzle back on. Do not disassemble small parts of the cap Jet Valve. Disassembly of the plastic cap could lead to leaks or product malfunction.